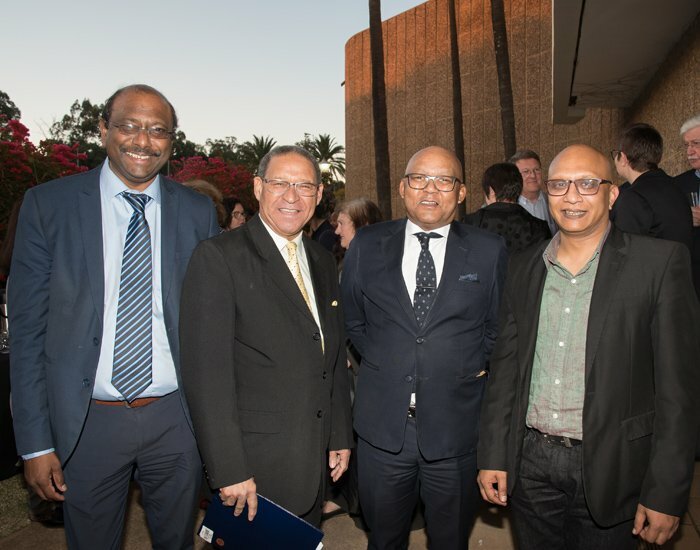 The Faculties of Humanities and Theology and Religion hosted the Johan Heyns Memorial lecture, presented by Dr Allan Boesak, renowned public intellectual, who spoke on , ‘Rebels at the lectern and on the pulpit: Hegemony, harmony, and the critical dimensions of theological integrity’. The lecture analysed the role that public intellectuals, religion and religious power plays in shaping discourse and forming society’s opinions on crucial issues. Dr Boesak’s talk interlaced his personal theological studies with his political growth and understandings. He likened Jesus Christ to a political activist fighting for freedom in the face of Roman oppression. He described himself as a “liberation theologian, rooted in faith, understanding as much as possible about [his] theological tradition and choices, and our political situation, and the causes and remedies of the political situation, all formed the basis of my involvement in the liberation struggle. I believed John Calvin was right, ‘resistance to tyrannical powers was the duty, obligation, and privilege of a follower of Jesus Christ. If the laws of government agitated against God’s laws of justice, we should pay them no regard whatsoever for they have chosen contempt of God and were seeking to deprive God of God’s grace, namely, rights and freedom to do justice to all God’s children’”. Dr Boesak spoke on the need for using theology to promote unity to further the liberation movement’s efforts which included all in the political spectrum from Black Consciousness to the South African Council of Churches. He said that this was done to reject hegemony, and to instead use a more democratic, ‘people’s theology of the resistance’ to help people make sense of the political landscape, as well as to contribute to society by making use of the values of faith traditions. The annual lecture is held in honour of Johan Heyns, who was a professor and dean of Theology at the University of Pretoria, and a moderator of the Dutch Reformed Church when it denounced apartheid. He was assassinated in 1994. Dr Boesak was a student of Prof Heyns and a prominent anti-apartheid activist and founding member of the United Democratic Front (UDF). Prof Christof Heyns, Director of the Institute for International and Comparative Law in Africa at UP and a member of the United Nations Human Rights Committee; is also Johan Heyns’ son. He recounts that former president Nelson Mandela called his father a ‘soldier for peace’ for his contribution to bring about an end to apartheid. 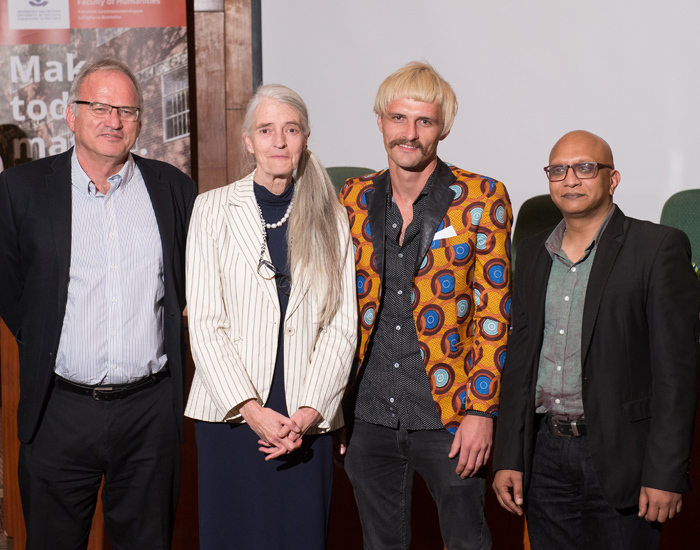 During the event a documentary by Johan Heyns’ grandson, filmmaker Adam Heyns, was screened, and a panel discussion on the role of public intellectuals was held. In attendance were former Vice-Chancellor and Principal of UP, Dr Flip Smit and Deputy Minister of Cooperative Governance and Traditional Affairs, Andries Nel; as well as a delegation from King’s College, London, led by their deputy vice-chancellor for internationalisation, Prof. Funmi Olonisakin. The lecture was funded as part of the Andrew W. Mellon Public Intellectual Research Programme in the Faculty of Humanities.